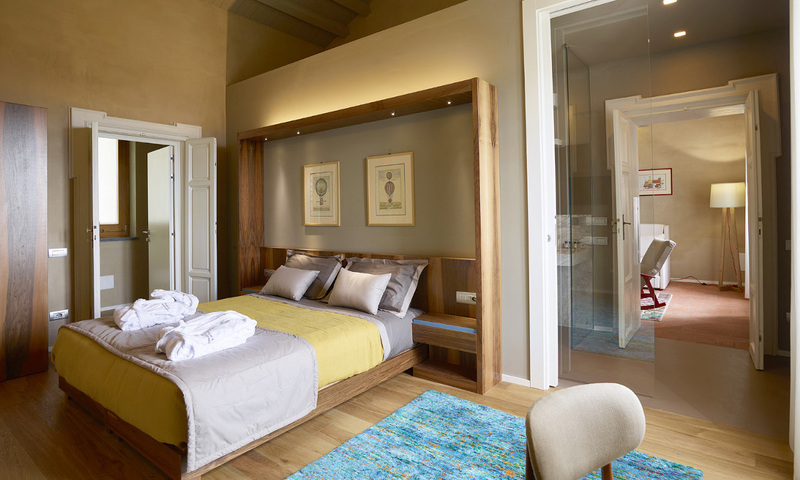 The suite is located on the second floor of the Villa and it includes two main areas. The living and master bedroom plus a bathroom and a hallway. 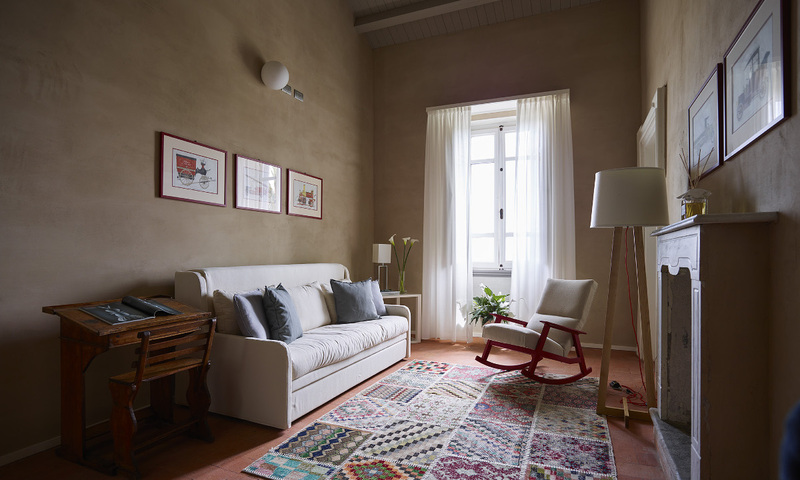 From the entrance, we access to the living room that is characterised by an old fireplace in marble in front of which are a rocking chair and a design rug but a patchwork pattern.Through the hallway we then access the master bedroom and the bathroom. The rooms are finished with plaster of pure natural lime and the floors are of solid oak wood. In the living room room we can find a large, traditional Tuscan cupboard. The rest of the furniture is exclusively designed. 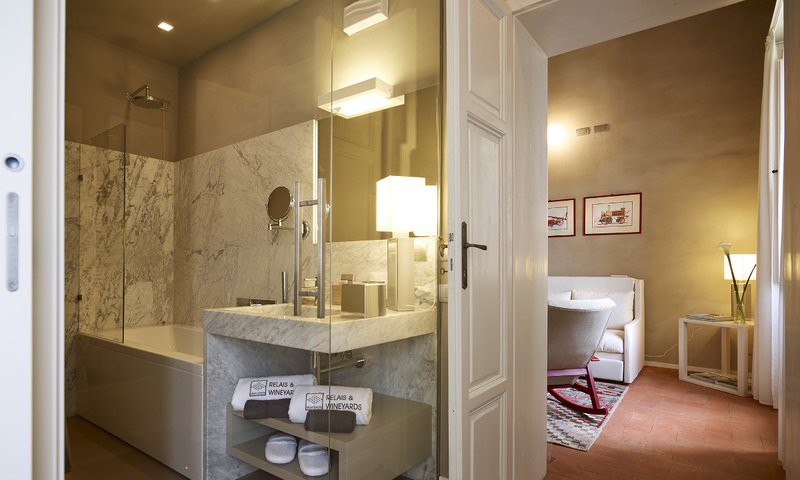 The bathroom is divided into two areas. 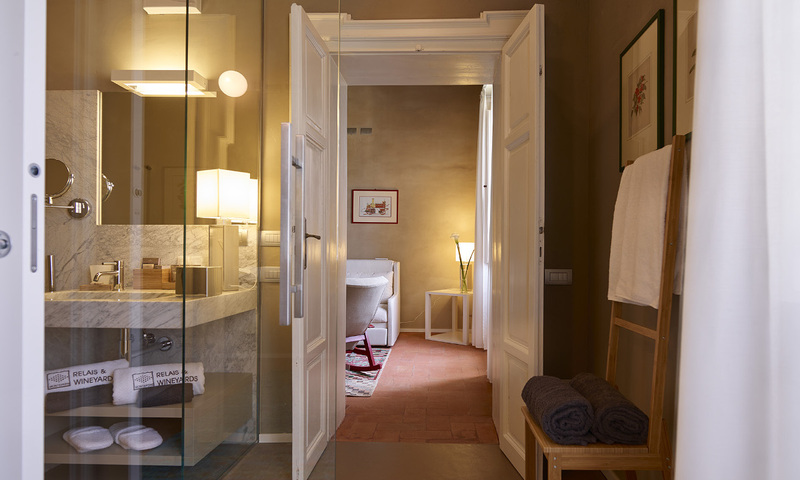 The first area has cristal doors, a bathtub and a sink of solid marble, the second one has the toilets and a glass door to divide the space. The claddings are big marble plates and the floorings are in dark brown resin.